The Promate Ride.i5 Sporty Shock Proof Case with Bike Mount for the iPhone 5/5s is made for outdoor adventure junkies. 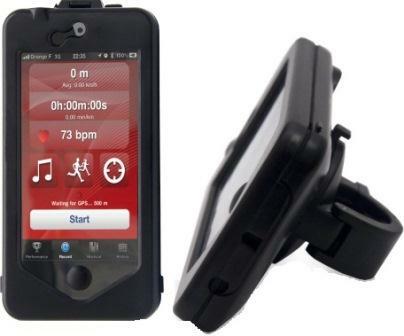 The Promate Ride.i5 comes with a detachable bike mount which delivers the best riding experience with your iPhone. It encases your iPhone in a hard rubberized shell protecting it from bumps and scratches. At the same time, keeping all your iPhone features fully accessible. It can also be used as a kick stand for multiple viewing angles. •Shock Proof rubberized case with a detachable bike mount for iPhone 5/5s. •Use the kickstand for multiple viewing angles. •Form fitted and fits snugly on the iPhone 5 and iPhone 5s. •Full access to phone’s features through precision cut-outs. •Made from the finest quality rubber coated plastic material.